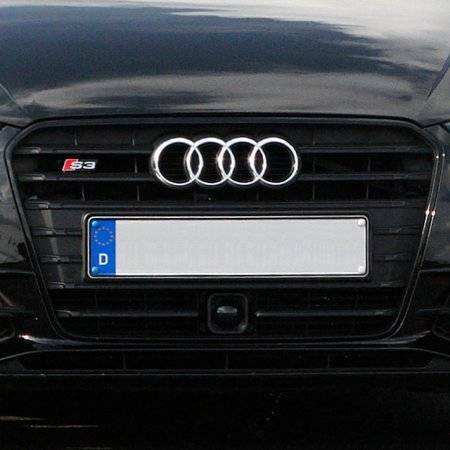 Aggressive S3 styling in black optic with gloss black trims and surround. 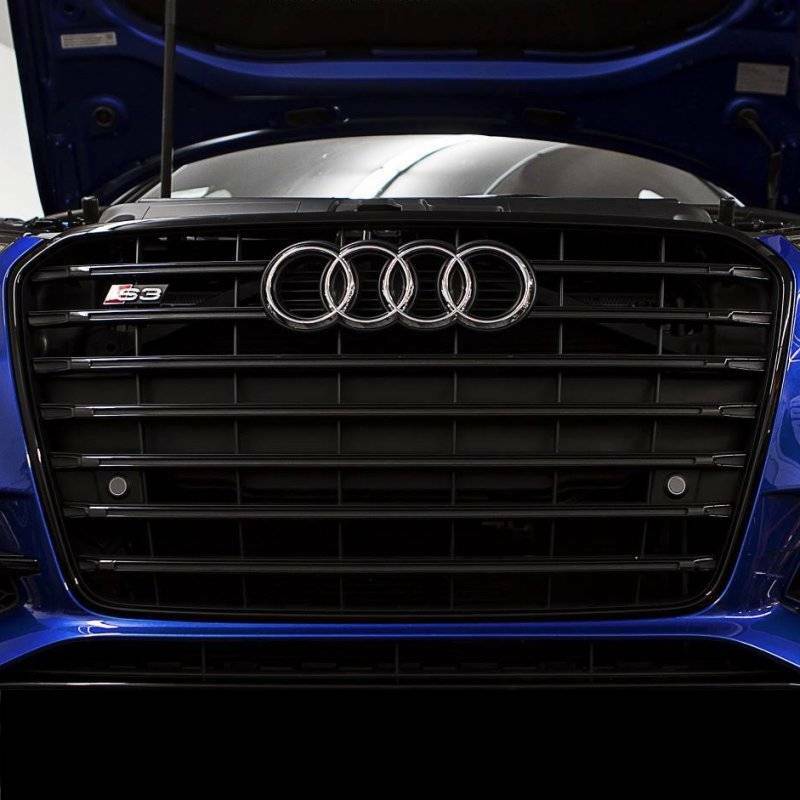 Bolt-on fitment for the A3 and S3. 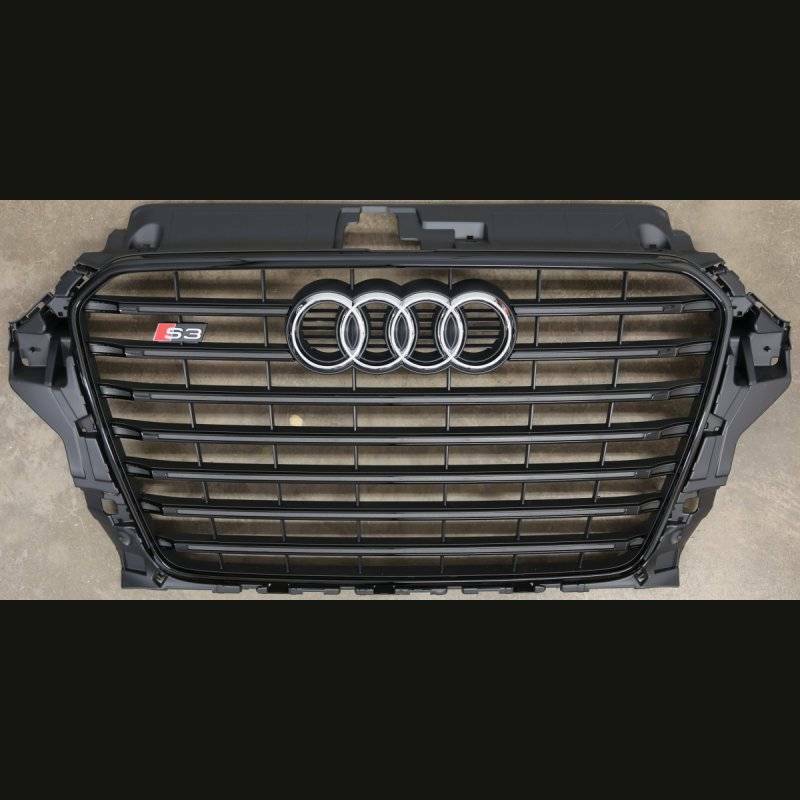 Grille comes without a plate holder and is all smooth or with built in European plate holder. US license plate brackets are available in many options, see below to add which would suit your needs best. *Note for fitment on models outside of North America the solid crashbar cover is required for a proper installation.